The "Between" is where ExodusDirect implements our Add-Values for our corporate partnerships. Our complete cycle of add-value support allows us to step in where collaboratively determined, providing customizable solutions with speed, efficiency, and a diverse approach to problem solving that is hard to replicate by our peers. All of our customers have unique needs, requiring specialized solutions. 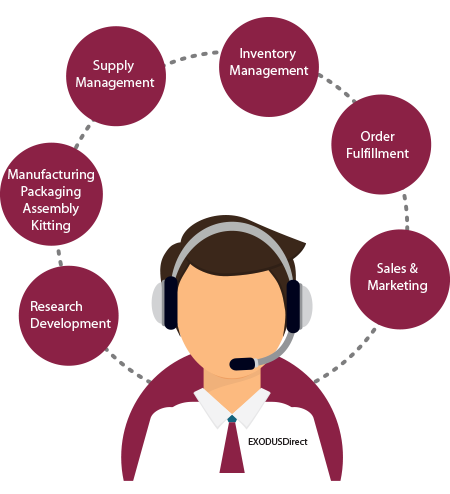 With our complete cycle of add-value support, we are able to utilize our strengths when appropriate, as well as seek to gain efficiencies at every stop along the way. We encourage you to browse our add-values to discern where we may be able to support your business.